The deck of the Billabong Stilt House stretches several meters into the Celebes Sea off the coast of Mabul, Borneo, creating a spectacular space to view the turquoise waters. I am captivated by the marine life beneath, from the chocolate chip sea star to the turtle poking its head out to say hello. With the 50x optical zoom of my camera, I decide to look for turtles from the deck. Suddenly, I notice a few people on wooden canoes trying to capture my attention. “Money, money, baby,” says a young girl. Accompanied perhaps by her sister, she holds a gondola-like rowing oar in one hand. With the other hand, she moves her fingers to her mouth to signal hunger. “I don’t have any money on me! Do you want some food?” I ask. On another canoe, a man picks up a large plastic bottle containing a foot-long mantis shrimp to sell. “Buy, tasty,” he says. I wonder how he got the shrimp into the bottle and explain that I have no cooking facility. The instantaneous change in his facial expression tells the profound story of his survival needs, which disheartens me. I give the man and the girls some food and watch them paddle away. Driven by curiosity, I zoom in with my camera to learn more about the girls. The girls canoe towards a cluster of anchored boat houses, no more than five meters long and two meters wide. The boat houses are old and have a central structure that is covered with colorful sheets to keep the sunlight out. I stand in shock and watch: four adults and four children are living on the small boat house. A child is playing on the roof with a wood. A lady is cooking, while two elders and a mid-aged man are sitting near with a baby. The girls attach the canoe to the boat house and carefully climb on. They show the food to the adults. I assume they are a family and work together to sustain themselves. I look around the waters and notice several boat houses, each with its own family, its own story. After this encounter, I attempted to learn more about these sea people from the local community on land as well as by doing some research. 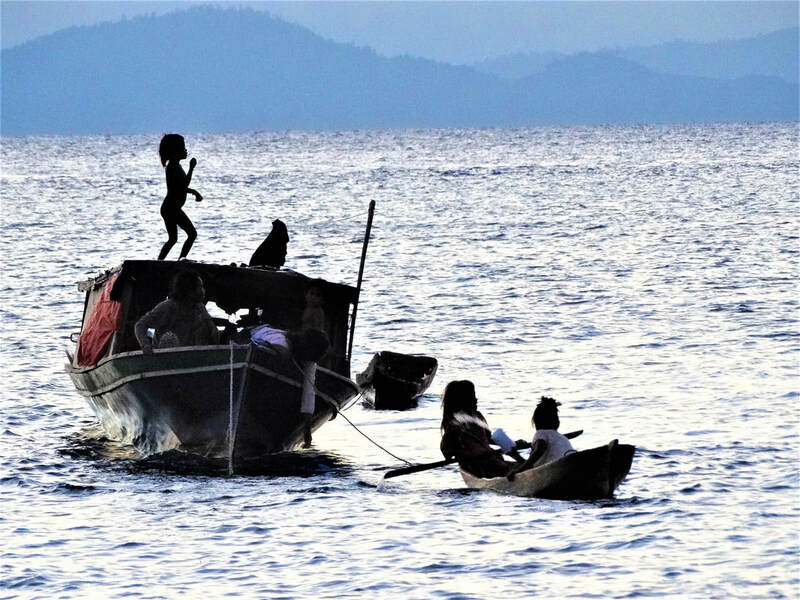 I learned that they are the Bajau Laut people (also known as the Sea Gypsies). They are known for their free diving skills and ability to capture sea life from deep waters. Tourism has created another channel of engagement and trade for them. Interacting with visitors on stilt houses has become a routine and a source of income for them. 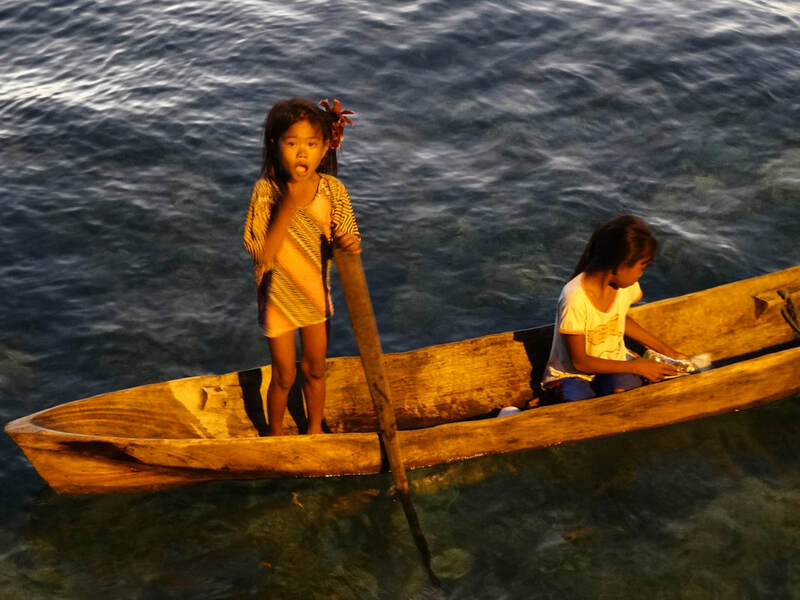 The Bajau Laut people are stateless. 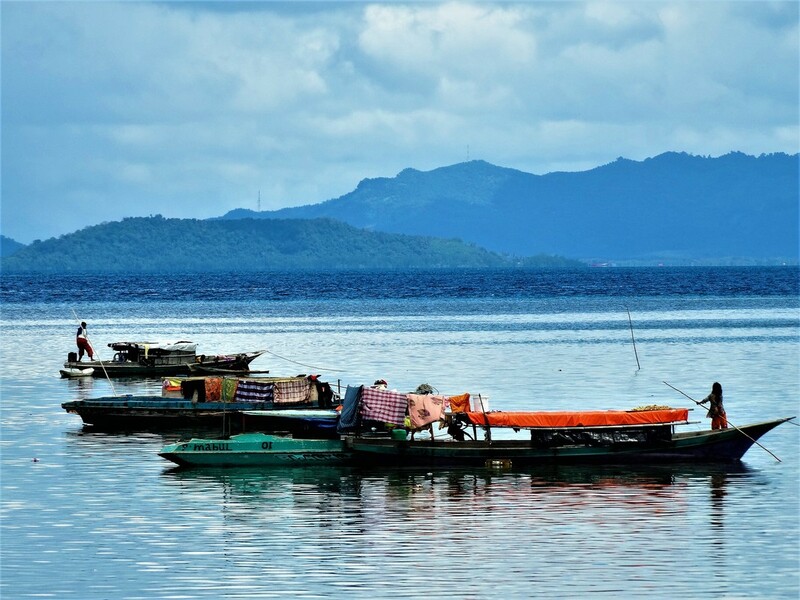 Decades ago, they settled on the water around Malaysia, the Philippines and parts of Indonesia. However, they are denied a nationality by the governments. They lack access to healthcare, education and jobs as they have no legal documentations. 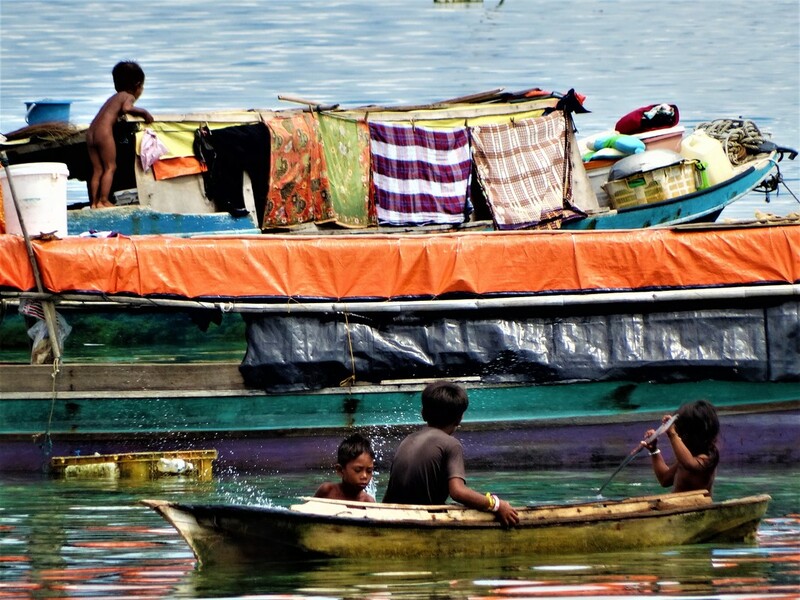 They rarely set foot on land, only when it is necessary to sell their catch, get fresh water or buy boat parts. Their children grow up just as their parents did. 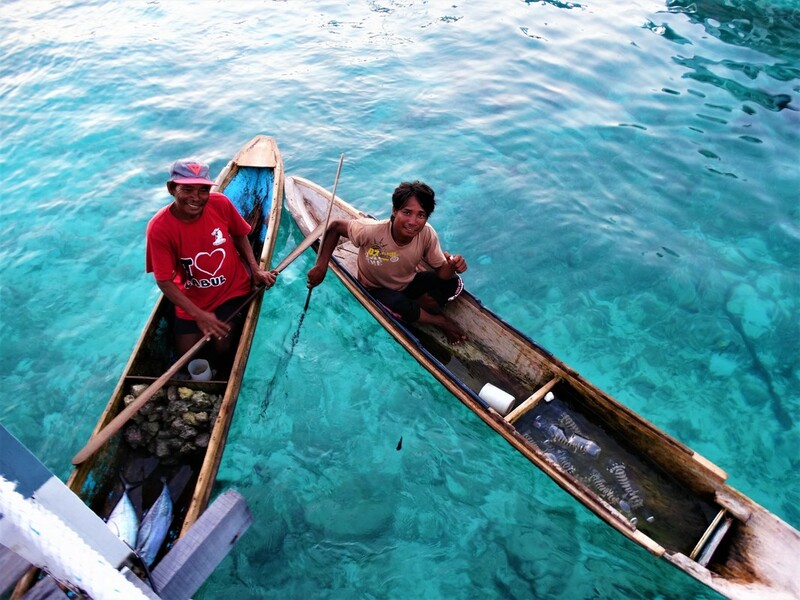 The Bajau Laut are a minority group forgotten by the East and the West. I wonder if the Bajau Laut people are happy. I realize how easy it is to be a blind tourist and how much I take for granted!